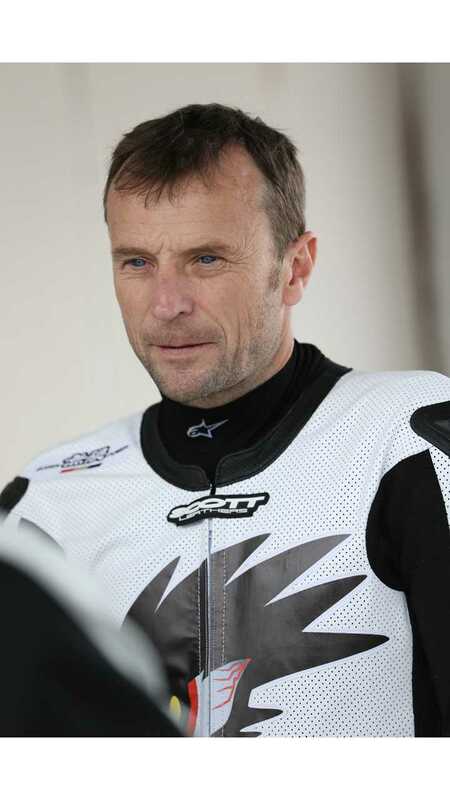 Bruce Anstey, one of two riders for Team Mugen, unofficially broke the record in SES TT Zero in the 2nd qualifying session. Last year, Michael Rutter set a 109.675 mph average speed and time of 20:38.461 on MotoCzysz E1PC electric motorcycle in the race. 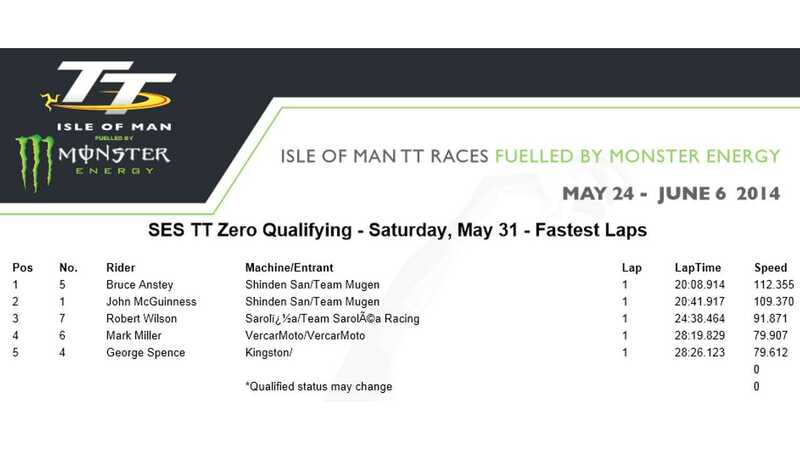 Anstey was 30 seconds quicker and set 112.355 mph (20:08.914), but this is an unofficial lap record, so for a new official lap record we need to wait until June 4 when the race begins. 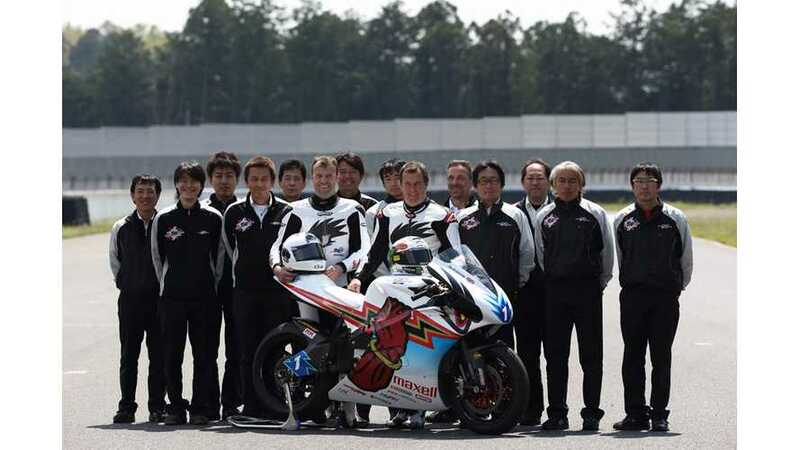 The second Mugen rider, John McGuinness was marginally outside Michael Rutter's lap record (109.675). Three more riders completed their 2nd qualifying session: Robert Wilson (Sarloea Racing), Mark Miller (Vercarmoto) and George Spence (Kingston). Sadly, without MotoCzysz in the mix, nobody can compete with the Japanese teams as the three other teams are far behind.